We've gone rogue for this week's review in a few, but for good reason. See, lots of research is showing that our ability to focus on the road ahead while driving is diminishing. At worst it's because we're texting or checking Facebook, but quite often it's because we're doing perfectly legal things like using in-car infotainment. So, this week we're taking you through driver distraction, with the help of one of the UK's top young racing drivers, Olly Pidgley. While you're here, please take a moment to subscribe to our YouTube channel, by clicking here. 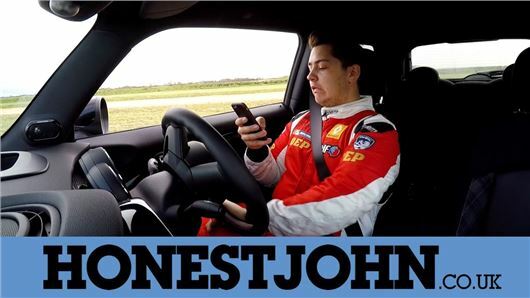 Some people say it's the best car review channel on the big internet. We agree with those people. I have to agree. Hands free chat is distracting, and so is chatting to your passenger/s. I actually think chatting to passengers can be more distracting. Does motoring law need to be reviewed to reflect the danger of distracted driving?